Ginsberg Law Offices represented men and women in personal bankruptcy cases for over 25 years. Our bankruptcy law website is located at www.atlanta-bankruptcy-attorney.com and our bankruptcy blog is at www.thebklawyer.com/thebkblog. 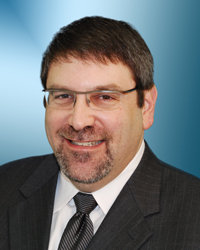 Attorney Ginsberg is also a founding member of the Bankruptcy Law Network blog. Both Jonathan and attorney Susan Blum teach continuing legal education classes about bankruptcy law and both are available for personal bankruptcy advice. As a rule, bankruptcy is an imperfect remedy for student loans, but Chapter 7 and Chapter 13 do have a place in student loan debt management. Bankruptcy judges have generally interpreted this Code Section to mean that except for very unusual circumstances, you cannot discharge a student loan in a bankruptcy case. Undue hardship has been very narrowly construed and basically means that you must have a medical issue so severe that you have almost no chance of working to generate funds to pay your student loans. So, while undue hardship does exist, as a practical matter it is very difficult to prove and would require very specific circumstances. Although bankruptcy most likely will not discharge student loans, it can discharge (eliminate) credit card debt, medical bills, personal loans and other debts. It can also allow you to walk away from vehicle loans or leases and even mortgage payments. Old income tax can be discharged as well. Chapter 13 bankruptcy, which functions as a payment plan, can consolidate your monthly payments into one, and, in many cases, reduce your balances. If we determine that an income based repayment plan makes sense, we may also consider a bankruptcy filing to free up cash flow and thereby make your repayment plan more palatable. If your student loans are private loans, and our restructuring options are more limited, bankruptcy can mean the difference between an affordable payment and one that is not.